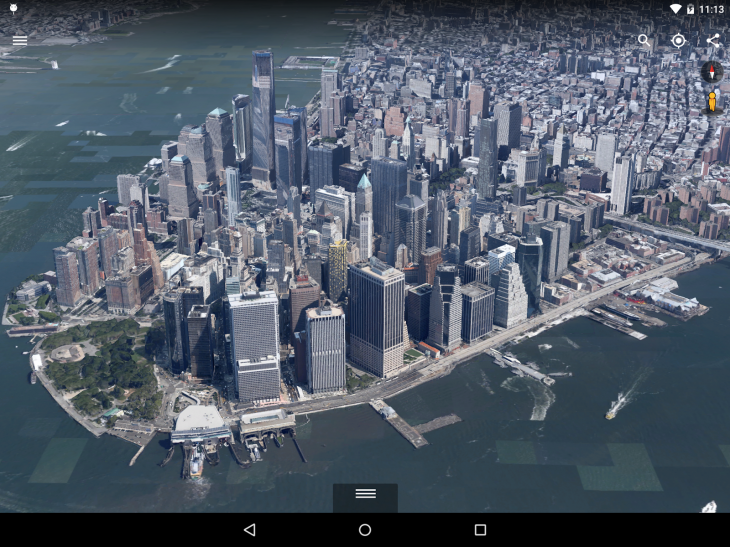 Google today released an update to its Google Earth Android app that brings the service’s first major improvement to its 3D rendering technology since launch. Built from scratch, the renderer offers “faster, smoother and crisper transitions.” Google also plans to use it as a foundation for updates to 3D technology in other products. Other additions to Google Earth for Android include faster basemap updates so that the app will get new data at the same time as Google Maps. You can also use Google Drive to open KML custom map files in the app.